This Cervical Cancer Awareness Week we’re speaking with two friends, Laura and Carly, who were both diagnosed at a young age. Laura (left) on her wedding day with friend Carly. 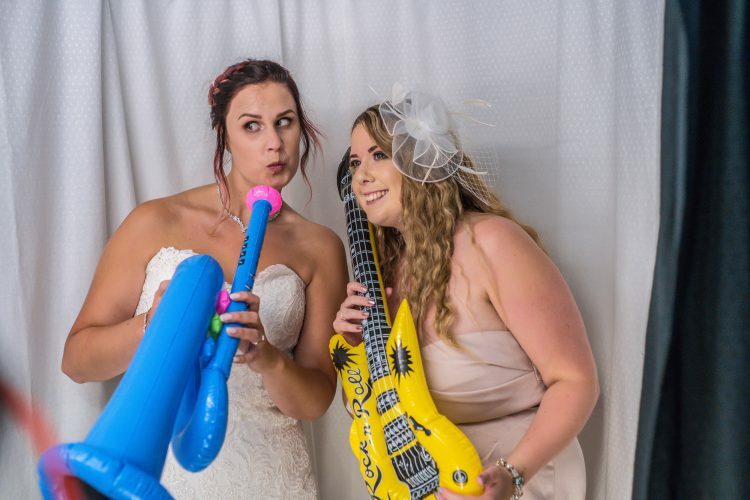 Laura and Carly actually met through using Big C’s services and Centres. They instantly hit it off, before coincidentally going on to study on the same degree course. At age 30, Laura was diagnosed with cervical cancer. While she was undergoing treatment she didn’t encounter anyone her own age and often felt isolated. Then she discovered Big C – Laura would often pop into our Support and Information Centre at the Norfolk and Norwich University Hospital and described it as a great respite. Years on, and Laura is free from cancer but it changed her life in more ways than one. Laura now works part-time for Big C as one of our Support and Information Officers, while she study’s for a degree in Person-Centred Counselling. This Cervical Cancer Awareness Week Laura says: “I always went to smear tests but my friends didn’t, even when I got diagnosed a lot of those close to me still didn’t attend their smear tests. People just don’t take it seriously, I still don’t know why people don’t go. “We all have the same anatomy and it’s usually a women that will do the test, it’s a couple of uncomfortable seconds that could save your life. “As well as always going for smear tests, I would urge everyone to be aware of the signs and symptoms of cervical cancer. “I knew something wasn’t right before I had a smear test, and when my first two tests were inconclusive, I pushed to have a third followed by further scans. Laura wants to promote early education, and is an advocate for listening to your own body – if something’s not right don’t let it go. On the other side of the coin, when Carly was invited for her first smear test aged 25, she wasn’t in a hurry to book an appointment. Unlike Laura, she had no symptoms, and while she wasn’t scared to go, she kept putting it off. A combination of having to book for a certain time within your cycle, forgetting and a busy life meant that it was months before Carly made an appointment. It was good that she did, because on Valentine’s Day 2017, Carly was diagnosed with cervical cancer. Fortunately, the cancer hadn’t spread and chemotherapy wasn’t required. Instead she faced surgery to remove her cervix and pubic lymph nodes. Looking back Carly says: “I would say to anyone that has just received a diagnosis or is worried in anyway about cervical cancer to take all the support they can get. Inspired by her own experience of feeling alone and meeting firm friends like Carly, Laura has recently started a Women’s Group across all of our Centres. These informal group sessions help women affected by cancer to get together and share their experiences and feelings in an open and safe environment. Big C are always here to talk and support you. If you are scared to go to a smear test, or worried about results to pop into a Centre or ring our telephone support line.